Nampula, Mozambique – At about 9 o’clock in the morning, 19-year-old Filomena Manuel arrived at the Muhala Expansion Health Center in Nampula. Pregnant with her first child, she was convulsing and agitated. An ambulance had transported her along with her aunt, Carolina Adelino, and husband, Matata Ibraimo. “She complained of stomach aches, headache and vertigo yesterday night,” Ibraimo explained. It was clear to him that Manuel needed immediate help. He recalled that during his wife’s first antenatal care visit, a nurse had explained danger signs to the couple. That morning, he felt sure that Manuel was experiencing symptoms of pre-eclampsia, a pregnancy-related disorder characterized by high blood pressure. Pre-eclampsia is a leading cause of maternal death. At the health center, nurses Ermelinda Jonas and Ana Trindade rushed to stabilize Manuel . They realized quickly that Manuel’s pre-eclampsia had progressed to eclampsia, the deadliest form of the condition. The nurses’ rapid assessment reflects the government of Mozambique’s efforts to build a high-performing health workforce backed by a strong, resilient health system. Trained by MCSP in basic emergency obstetric care, Jonas and Trindade knew the danger of death or long-term disability that eclampsia posed to both mother and baby and how best to address it. Globally, severe pre-eclampsia/eclampsia result in 63,000 deaths each year and can also lead to long-term or permanent disability. 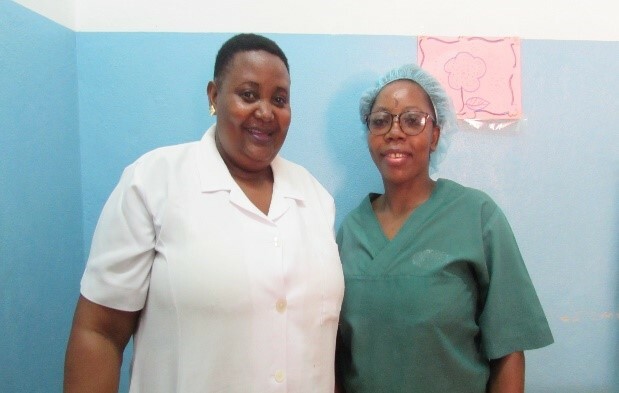 In Mozambique, where 13% of maternal deaths are due to pregnancy-related complications, MCSP is stemming this trend by training health providers in 86 facilities in correctly managing basic emergency obstetric complications through an approach known as low dose, high frequency that emphasizes on-the-job, hands-on clinical skills learning. The majority of deaths due to pre-eclampsia/eclampsia are avoidable with the timely provision of effective care. Above: MCSP-trained nurses Trindade and Jonas, who stabilized Manuel when she arrived to their health center, and helped facilitate her lifesaving referral to the hospital. As a result, Nurse Jonas knew to administer a dose of the anti-convulsant magnesium sulfate, which has been shown to reduce the risk of death from eclampsia by 45%, and carefully follow the instructions on the pre-eclampsia/eclampsia management chart provided to the maternity ward by MCSP. She then placed a gauze-wrapped tongue depressor in Manuel’s mouth to protect her from biting her tongue during seizures. Throughout the process, Manuel’s blood pressure remained high. 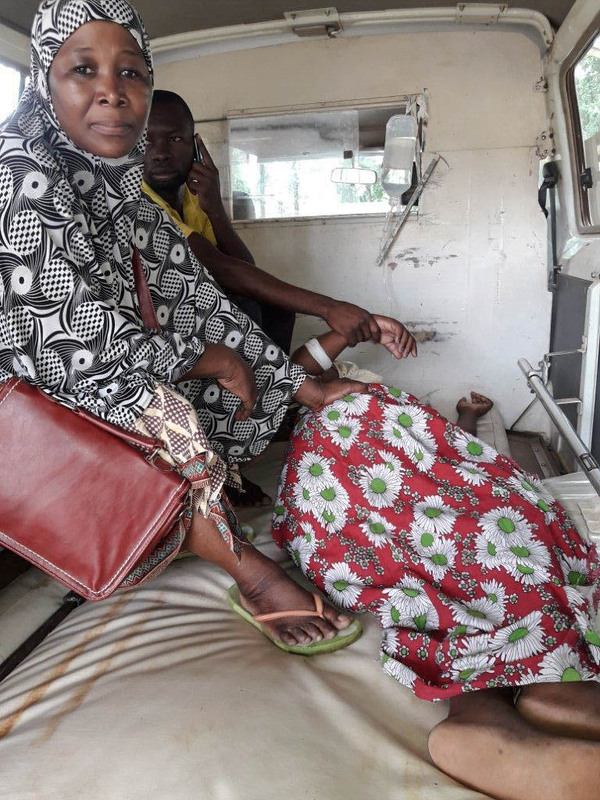 Meanwhile, an ambulance was called to transfer Manuel to Nampula Central Hospital, about 2 miles away. The MCSP-trained staff knew that Manuel needed to deliver her baby at the hospital, where she could receive the advanced life support she needed from an intensive care unit. Forty minutes later, Manuel, now unconscious, arrived at the hospital flanked by her family and Nurse Jonas. 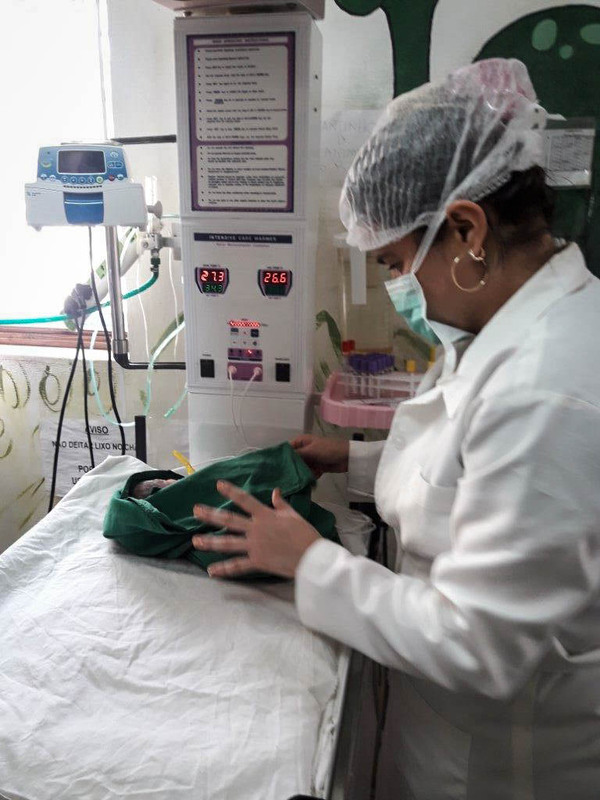 Thanks to the advance communication between the health center and hospital, the hospital’s maternity and operating room staff were ready to receive her and immediately perform a cesarean section. These quick actions likely saved two lives. Manuel gave birth without complications to a baby boy, who weighed 2 kg (4.4 lbs) and received immediate care from the pediatrician, Dr. Ana Cabreira. About an hour after the delivery and under constant monitoring, Manuel regained consciousness. Above: Pediatrician Dr. Ana Cobreiro providing newborn care to Manuel’s baby. 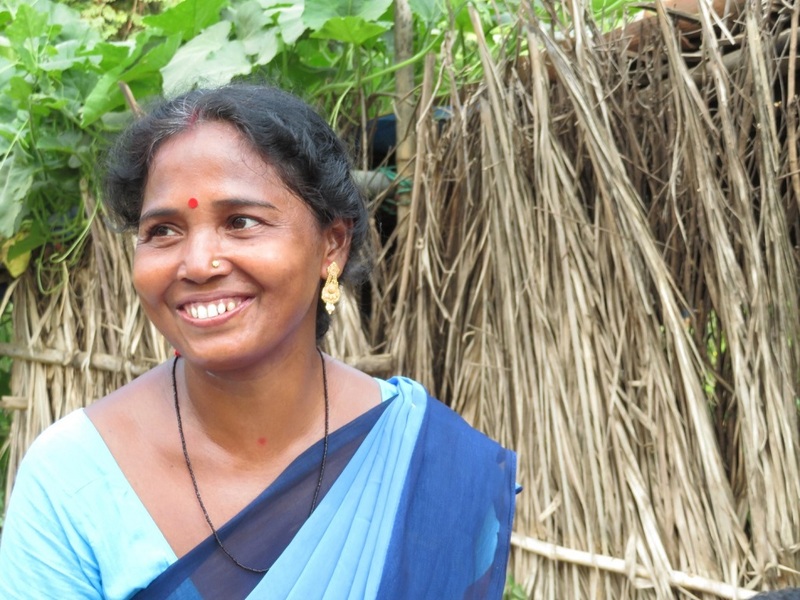 As the new mother remained in the obstetric ward for observation, her blood pressure returned to normal thanks to continued eclampsia treatment. In the company of her husband and family, she responded to her name and asked to see her baby. After four days, both were discharged to begin their new lives as a family at home. The survival of both Manuel and her baby was the result of quick thinking by her husband, who knew when to seek care, and the rapid, lifesaving decisions made by her team of skilled providers. In all, MCSP has conducted low dose, high frequency trainings for 979 providers in 86 facilities as well as formative supervision. To support this work, the Program also provided materials, such as blood pressure monitors and lifesaving medicines, and staff training on maintaining that stock. In addition to strengthening providers’ skills in managing obstetric and newborn emergencies, MCSP has worked to increase fathers’ participation before, during and after the birth of the child. During antenatal care, couples learn the benefits of male participation in birth planning and complication readiness with the goal of reducing maternal and newborn deaths. But the best metric of all? 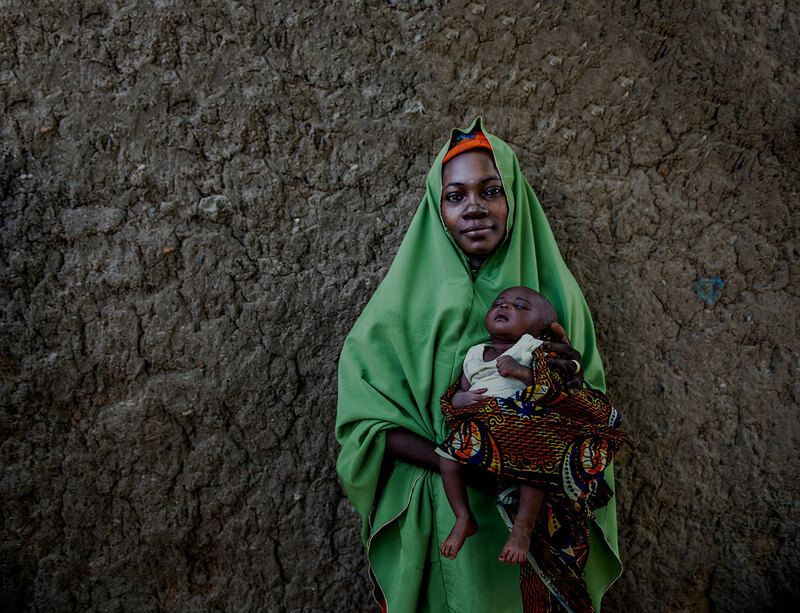 To date, these efforts have reached 358,669 pregnant Mozambican women. That’s a lot of happy birth days!